The Texas Railroad Commission (RRC) says the explosion of a 42″ natural gas pipeline near the town of Cuero, Texas in June was caused by a “material failure” on part of the pipeline. Energy Transfer operates the pipeline that exploded on June 14th, 2015. The company is planning to build two pipelines of the same size in West Texas – the Trans-Pecos Pipeline and the Comanche Trail Pipeline. The RRC regulates the oil and gas industry and investigated the Cuero explosion shortly after it happened. A 46-page report on the explosion obtained by Marfa Public Radio says the pipeline ruptured because of an “excessive bending load” – essentially too much tension on part of the line – which led to a crack that started at the weld and moved from the bottom up. Nobody was hurt in the blast, but 16 people were evacuated from the area around it. Witnesses reported seeing flames shooting about 100 feet up into the air. The part of the line that exploded was shut off and isolated, but according to the RRC’s report, it was repaired and back in operation about three days after the explosion. The commission also looked into the construction and welding of the pipeline, as well as the repairs that were made shortly after the explosion, but didn’t find any violations of federal safety standards throughout the investigation. The blast area was measured to be about .3 miles by .2 miles. Some nearby powerlines and fences were damaged. The commission estimates the explosion cost the company about $500,000 in damages and repairs and about $900,000 in lost natural gas. The pipeline was relatively new, having been installed in 2012. 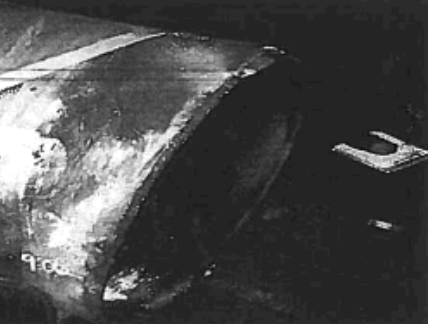 It was manufactured by the Berg Spiral Pipe Corporation. Energy Transfer didn’t immediately respond to requests for comment on the explosion or the RRC’s report on Wednesday. This entry was posted in KRTS News and tagged Cuero, Cuero Pipeline Explosion, Energy, Energy Transfer, Industry, Natural Gas, Oil and Gas, Pipelines, South Texas, Texas Railroad Commission, TX. Bookmark the permalink.